Goodreads: When Noah and Josephine Mitchell discover their divorce was never actually finalized, their lives are turned upside down. Kritters Thoughts: Noah and Josephine thought that they had been divorced for a year and a half, but due to some paperwork mix up they are technically still married. A weather event, a horse and a few mistakes send this couple out into winter cold and they must depend on each other to survive. There were many times in this book where I rolled my eyes as something would happen that would make their situation worse and it was just too much. I don't want to be too specific and spoil, but there was officially a moment where I went oh really, how convenient for the story and it was too obvious. What I did love about the book was the glimpses into their past. From when they met to their love story, I loved seeing those snap shots as the full story was happening - it put the bigger story into context. Overall this book was just ok in my opinion. I liked the overall concept of story and mostly how it was executed, there were just a few moments where I wish the author had tried something else to get the plot to move where she wanted it to. 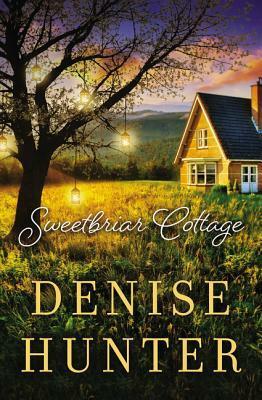 I wanted to add a little side warning - Denise Hunter is a Christian fiction author and this book definitely has some Christian moments. I read Christian fiction often and some are obviously Christian fiction with scripture and such and some are very light on it, this one had quite a few moments, so if you are not into that thing, I wanted to forewarn you.